Originally from New Orleans, Mike was heavily influenced by the architecture of the French Quarter and Creole New Orleans. Mike attended the School of Architecture at UT Knoxville and graduated in 1993. He started his career in a small one-man office in Memphis, TN designing custom homes. In 1996, he became lead designer at Allen Hoshall designing corporate offices, headquarters, and commercial/retail buildings. 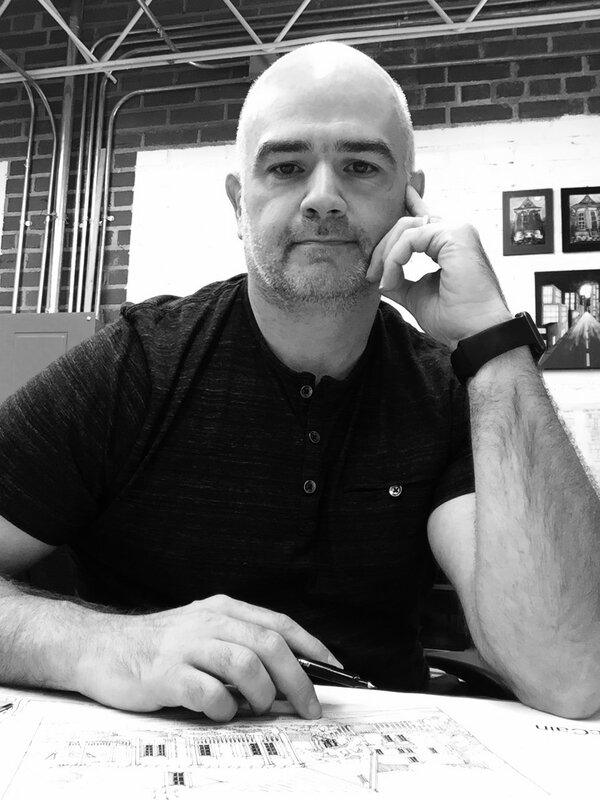 In 1999, he joined Michael Barranco in Jackson, MS as lead designer on a variety of projects, large to small, including master planning, New Urban developments, and residential architecture. During his time here, he teamed up with Duany, Plater-Zyberk on numerous charrettes across the country and in Panama. This is where he reconnected with his love for New Orleans streets and architecture and his new passion for New Urbanism and Traditional Neighborhood design. Mike began Thompson Placemaking in 2015 and now specializes in authentic southern architecture, Traditional Neighborhood Design, architecture pattern books, small mixed-use and residential design. He currently serves as Town Architect for Adelaide in Starkville, The Lamar in Oxford, Lost Rabbit in Ridgeland, Waterton in Flowood, and The Township in Ridgeland.